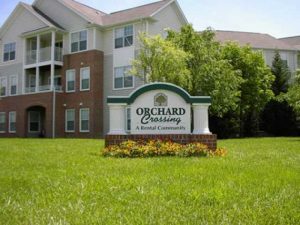 Since 1979, Orchard Development has developed land for nearly 6,000 residential units, initially specializing in planned communities and garden apartments. In recent years we have concentrated on adaptive re-use, in-fill and revitalization development. The breadth of Orchard Development's work extends from affordable senior communities to market rate luxury rental apartments, and mixed income workforce housing with conventional financing, LIHTC, historic tax credit and state and local loans and bonds. Additionally, with our sister company Armiger Management, Orchard Development provides management services to each of our properties. Founder and CEO, L. Earl Armiger is nationally recognized as a leader in the home building industry. He has been a Vice President for the National Association of Home Builders (NAHB), and has chaired NAHB's Housing Credit Group, Seniors Council, Multi-Housing Council and Housing Finance Committee. He has been named Builder of the Year by the Home Builders Association of Maryland (HBAM) and was awarded HBAM's Lifetime Achievement Award in 2009. In 2007, Mr. Armiger was named Business Person of the Year in Howard County. In addition, Orchard Development Corporation received the Community Service Award from the National Housing Endowment. Scott Armiger, who spearheads many of the company's development project's, is also a past President of the Homebuilder's Association of Maryland.